After more than 20 years of constantly enhancing capacity and broadening experience in craniofacial plastic surgery, Dr. Nguyen Nguyen Nha has performed thousands of operations for children with facial deformities. She could not hide her joy when talking with us about the successful cases, especially in otoplasty – a challenging procedure. Medical profession requires doctors and physicians not to make any mistakes and errors. It’s more important in so otoplasty (ear correction) in general and surgery of the auricle in particular. To reconstruct the outer ear, the surgeon has to cut costal cartilage of the patient (autogenous tissues), which requires high level of skills, carefulness and experience. Any small mistakes could harm the patient with complications. 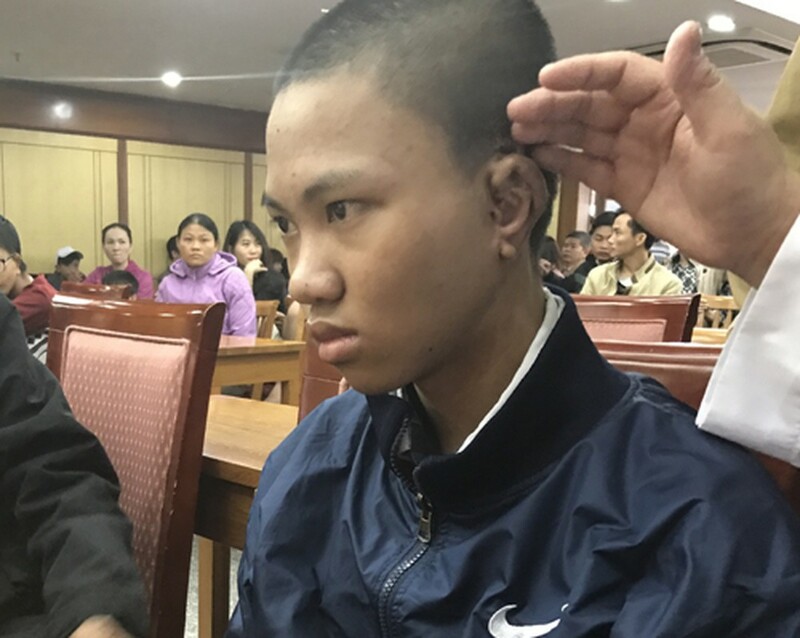 Dr. Nguyen Nguyet Nha – Hong Ngoc General Hospital shares that surgical correction of the ear should be evaluated and performed in appropriate way to each case. It could take only 1 to 2 operations for some simple cases. But in complex ones, she has to follow the patient for 2-3 years, step by step adjusting the repaired ear. It can require 4-5 times of surgery to repair the auricular malformation. In plastic surgery, ear is one of the body parts that are most difficult to be formed. Previously, some materials such as silicon are used to form the auricle; however, it could not last for a long time as the material can be released by the body, exposed or dissolved, leading to further malformation. With modern method, autologous costal cartilage is used, creating an ear with normal look. Some patients have almost no ear. One of them is V.Đ.H (Go Vap, HCMC) who was born with a small piece of meat on the area that is supposed to be the left ear. 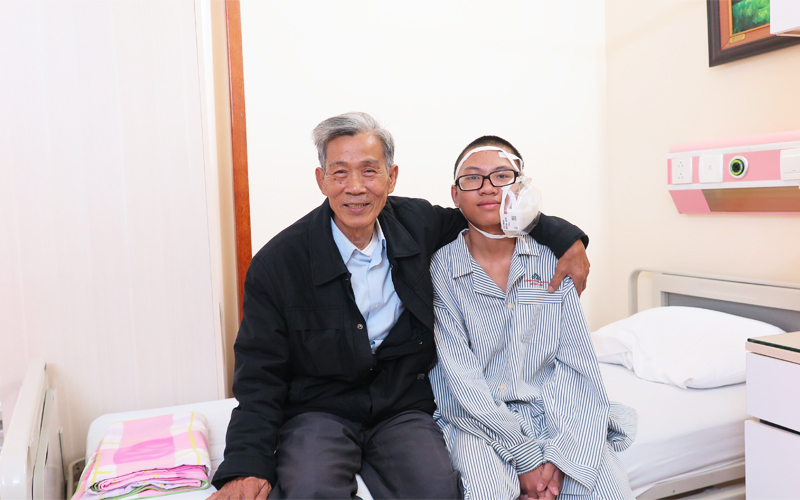 He registered for charity surgery program named Lifting up Dreams hosted at Hong Ngoc General Hospital. Dr. Nha, supported by American specialists successfully performed the surgery for this boy. Until now, H’s ear has been 80-90% normal. Traditional treatment for ear deformities has been to wait until a child is 6 years old to meet the requirements of surgical correction. And it’s also important to discuss with specialists about the situation of each case to choose the most suitable approach. Like numerous patients having congenial deformities, most of patients who have ear malformations are lack of confidence due to the incomplete appearance. Particularly, in cases of anotia (total absence of the ear), the patients could not integrate with the society. Fortunately, after the treatment provided by Dr. Nha, they gradually overcome and have a better life. They can look at their face with bright smiles. They get more motivation and confidence to follow their dream in future. “That is the greatest happiness which the job of surgeon brings to me”, said Dr. Nha. Having specialized in plastic and reconstructive surgery for more than 20 years, Dr. Nha has examined and treated for thousands of patients having craniofacial defects. She has spent years doing charity work across the country with an array of difficulties. But she always deals with the hard work and difficulties with her gentle voice and smile. Before working at Hong Ngoc General Hospital, Dr. Nha studied and worked at Craniofacial Center of Changgung Menorial Hospital (Taiwan) and Paris VI Medical University (France). 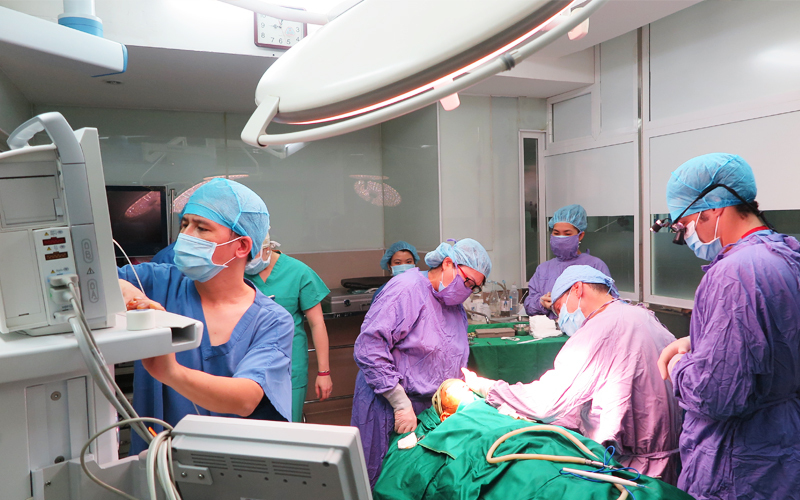 She was also former Deputy Head of Craniofacial Department – Vietnam National Hospital of Pediatrics. For years, Dr. Nha has worked with international specialists during their missions in Vietnam to offer charity surgery for children, such as Operation Smile program with American surgeons, the program of Interplast (Netherlands) team to offer jaw surgery in 8 Northern provinces of Vietnam, as well as team of Globe Care (Korea) in the program at Vietnam National Hospital of Pediatrics. At the present, Dr. Nha is working at Hong Ngoc General Hospital and keeps following her journey of bringing smiles to the face of disfigured children. Her only desire is focusing on her specialty, using her knowledge, skills and experience to correct defected faces, bringing them happiness and more hope in life.